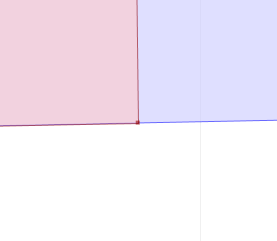 At first glance it looks like the red polygon follows the boundary of the blue one exactly, which would result in BLUE.contains(RED) = TRUE. 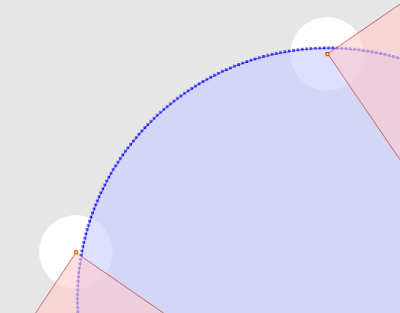 The immediate suspicion is that one of the apparently collinear points is actually in the exterior of the blue polygon. But which one? And how can this be confirmed visually? Now it so happens that the rightmost vertex of the red polygon, which appears to be on the boundary of the blue polygon, is in fact in the its exterior - thus explaing why contains = FALSE. 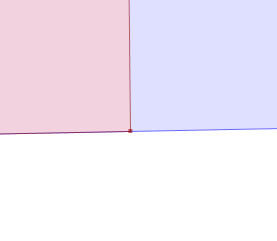 But it's so close to the boundary segment that no matter how far you zoom in, you can't see that this is the case. And it's certainly not obvious where to go looking for this error in the first place. The usual way to inspect these kinds of cases is is to tediously zoom in on each vertex. But this loses the visual context of the situation. And in very close cases it simply doesn't work, because the zoom factor is so great that the Swing graphics API is unable to display the scene correctly. Zoomed way in - FAIL! 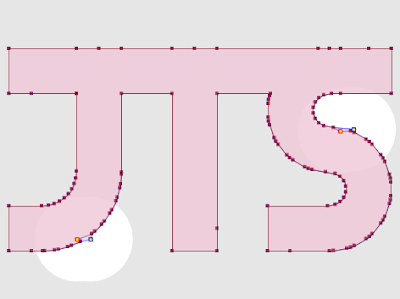 Another alternative is a painstaking manual inspection of the coordinates of each vertex and segment (which by the way is straightforward in the TestBuilder and OpenJUMP, but can be difficult in other tools). But it's hard to convert the coordinate numbers into a mental image of the situation. And it's essentially impossible to do mentally if a vertex is near a non-rectilinear (slanted) line - in this case it's necessary to evaluate a complex mathematical algorithm to to determine the relative orientation of the vertex and line. This limitation has bugged me for a long time, ever since JTS and the JCS Conflation Suite were being developed. And it keeps coming up as a question, since this kind of situation occurs a lot when overlaying polygons. 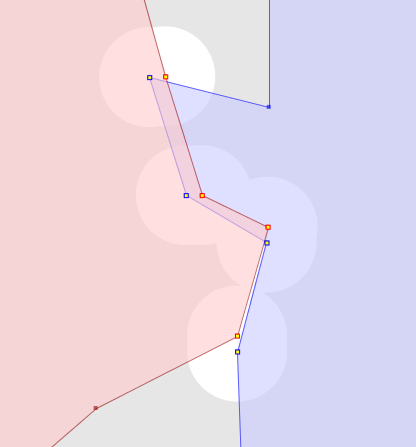 Cutting new vertices into line segments almost always causes them to be non-coincident with the original segment, but with very, very small discrepancies. 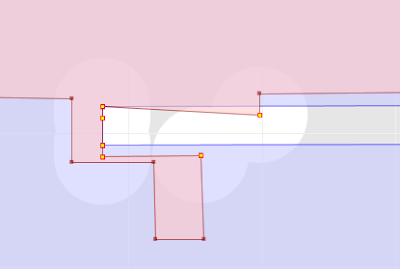 So a while back I started to think about a tool that would somehow make subtle topological situations visible at convenient zoom levels. The idea has been gathering dust on the lab bench for years, but I've finally had a chance to implement it. 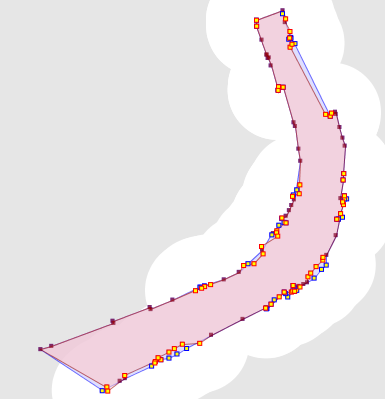 It's now a feature in the JTS TestBuilder called Magnify Topology. 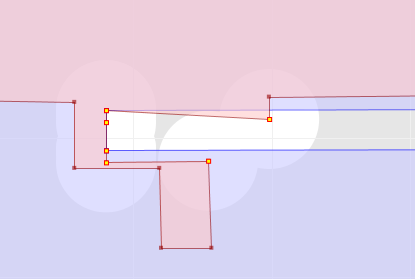 Enabling it on changes the geometry view to provide easy and effective visualization of small topological differences. 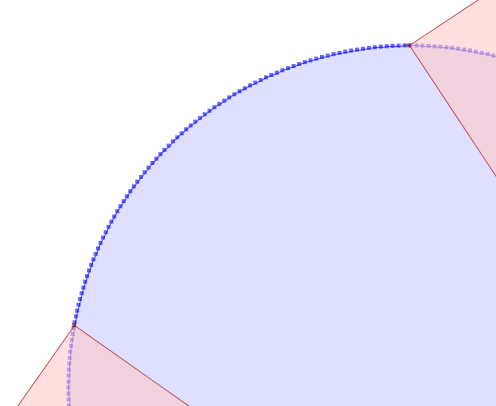 Vertices which are truly coincident or collinear remain unchanged in the magnified view. 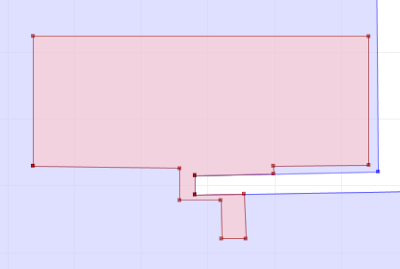 It's easy and quick to toggle Magnify Topology on and off to compare the actual and magnified views. 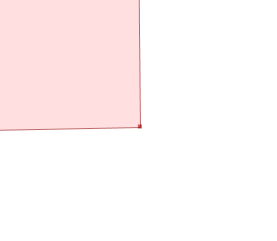 Now it's obvious where the red polygon violates the contains relationship! 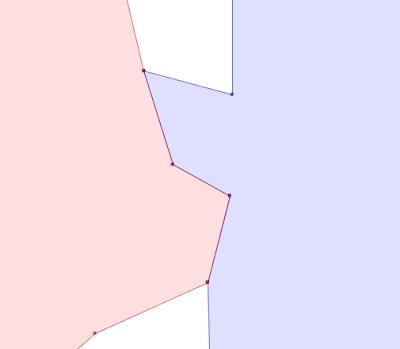 In addition, you can see that there are some very close vertices in the red polygon, that some of them are truly collinear with the blue boundary, and that the lower right red vertex is actually in the interior of the blue polygon. 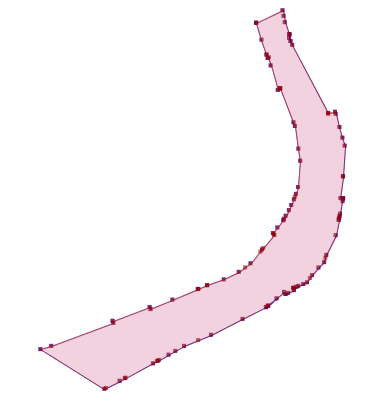 Note the truly coincident vertex along the boundary, which remains unchanged in the magnified view. This feature will be released in the next version of JTS. In the meantime it's available in the JTS SVN.